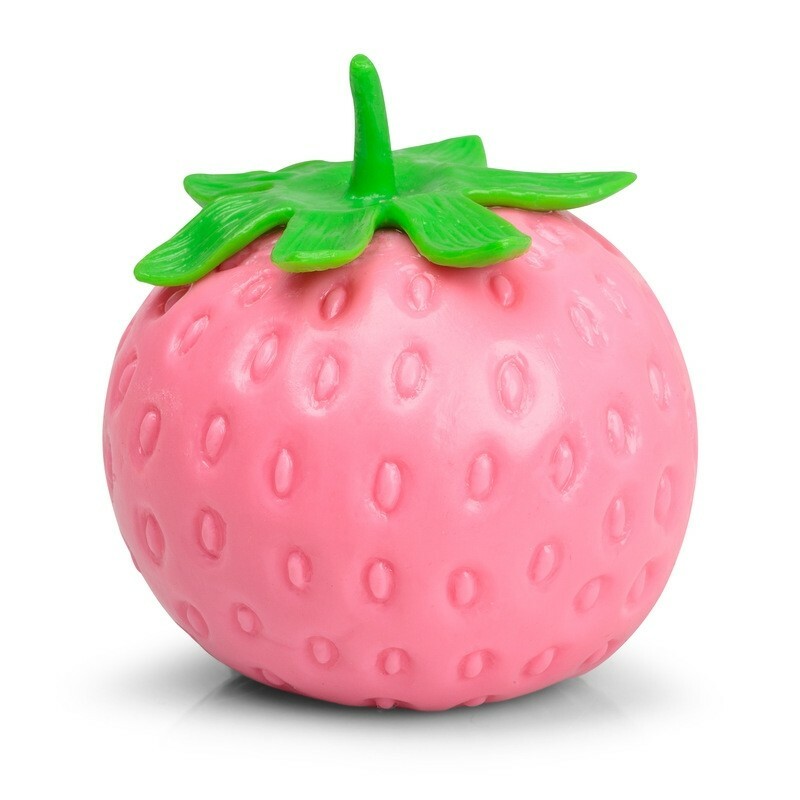 Squishy stress toy shaped like a strawberry. 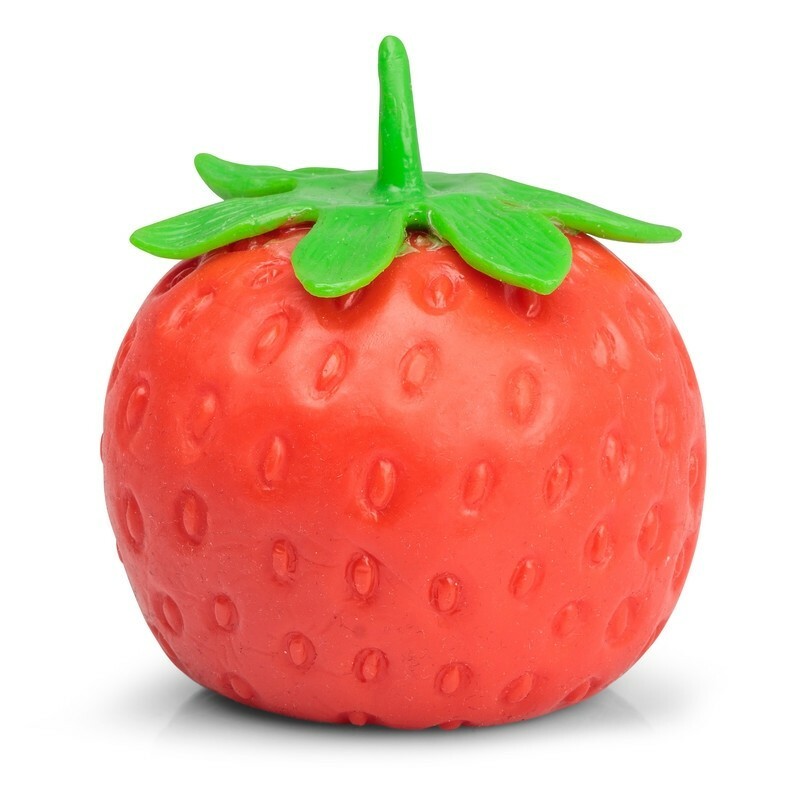 Filled with a gel-like liquid, this large strawberry is great fun to squeeze and squash, and provides a very satisfying tactile experience. It always returns to its original shape too, ready to be squeezed again next time. It makes a fun alternative to a classic stress ball and is available in pink or red. Emoticon style stress reliever. Give him a squeeze to relieve tension.